To find the area you 1st have to find the radius(1/2 diameter).Next you have to multiply or square the number by itself.Lastly you have to multipy the number by pi(3.14 or 22/7) to get the area(how many square units cover the top of the circle) of the circle. When you are trying to find circumference you have to find out the diameter(the distance acros s the circle).Then you have to find out what number is used as pi(3.14 or 22/7).Pi is also the number of times the diameter can wrap. 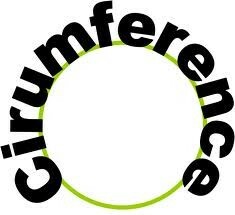 Finally you have the answer you have yo multipy them together to get the circumference. Gabby is trying to find the circumference of a clock with a radius of 28 meters. How can she find them? 1.When Gabby was trying to find the circumference, she first multiplied the radius by 2 to get the diameter. Then, she multiplied it my pi(3.14).Finally, she got an answer 175.84 which is the circumference. 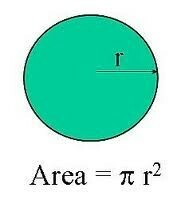 2.When Gabby was trying to find the area of the circle she multiplied/squared the radius. Finally she multiplied the number by pi(3.14) to get an answer of 2461.76 which is the area.